We are surrounded by parkland, wild catnip and plenty of free parking. 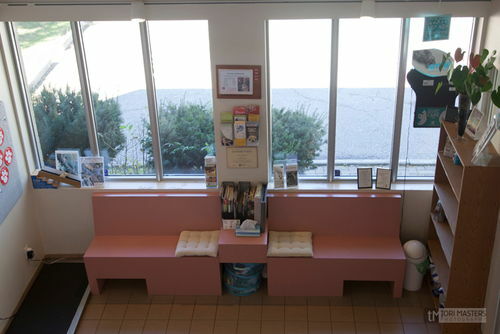 Our reception area is filled with natural light. 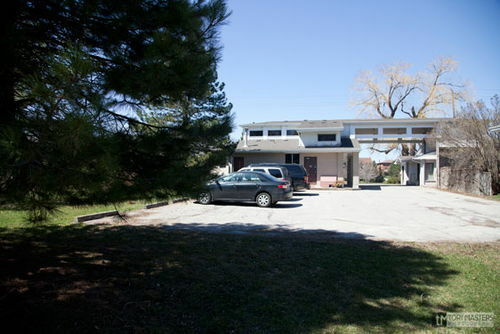 Exam room 1 is spacious and has large windows with window sills for the cats to enjoy. There are no stainless steel tables here and the anti-slip mat makes the examination experience more comfortable. 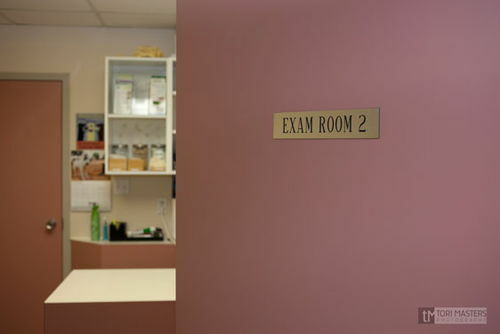 Exam room 2 is not as large or as bright as exam room 1 but it allows us complete darkness for a better eye exam and more privacy. 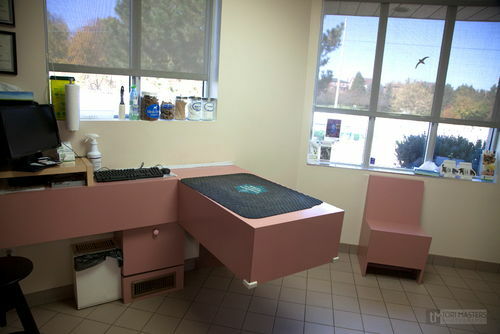 Additionally, we frequently use this room to hospitalize dogs who are nervous about being confined in a kennel - with a blanket on the floor and a baby gate so the door can be left open, it suddenly feels more like a home than a hospital. 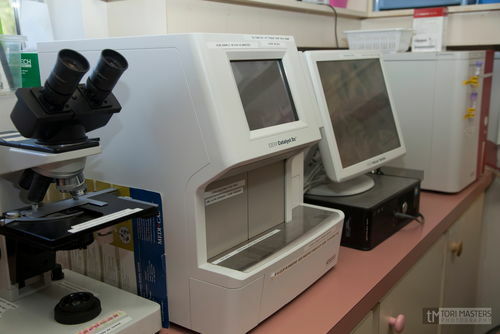 We are able to perform a number of blood and urine laboratory analyses in-house, including complete blood counts measuring red and white blood cell levels; biochemistry panels to identify problems with the liver, kidneys, pancreas, blood sugar, protein levels and electrolytes; and microscopic cell exams. 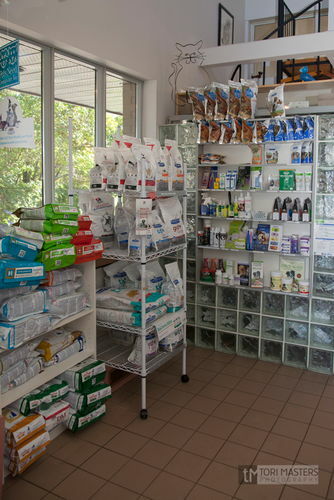 We stock most of the commonly prescribed medications for cats and dogs. Others we can order by special request. We also stock Pill Pockets and pet pillers, and can have hard-to-give medications compounded into different flavours or formulations such as liquids, coated tablets, capsules, chewable treats or transdermal pastes. We know that giving your pet daily medication can be stressful but we know many tricks to turn it into an (almost) enjoyable experience for both of you! 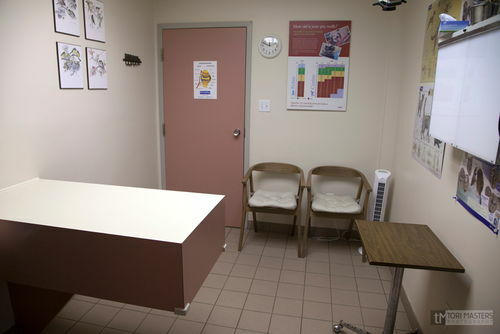 We have a refrigerator especially designed to contain only vaccines, and only at their optimal temperature. Aligning with our goal of being a safe, environmentally conscious and modern hospital, we have installed a digital (DR) x-ray machine. This technology allows us to get fast and accurate exposures that can be easily shared with specialists online. If you like, you can even have a copy of the x-ray for your own files. The x-ray image is visible within seconds, saving you and your pet a 15-20 minute waiting time as it was "in the old days". In addition, if the image is too light or too dark, we can adjust this on the touch-screen computer monitor without having to re-take the x-ray, saving your pet additional radiation and stress, as well as time. We can also zoom in to see the tiniest of details in the tiniest of patients, and we can measure with digital accuracy the size of anything on the x-ray (such as bladder stones or masses or the size of organs) so we can monitor its progression over time. .... and all of this combined MINIMIZES STRESS to your pet and therefore to you and our caring staff! 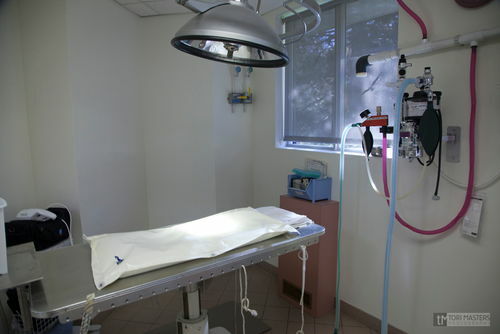 Our surgery suite features modern anesthetic monitoring equipment that constantly measures your pet's heart rate, respiratory rate, blood pressure (systolic, diastolic as well as mean), ECG and blood oxygen levels. Our gentle platypus ECG clips do not hurt the skin the way alligator clips can. The only inhalant anesthetic we use is isoflurane and we have modern anesthetic scavenging as well as delivery equipment that is calibrated annually. We have digital pumps to control the rate of intravenous fluid delivery and we warm the fluids before they are administered. While surgery is being performed, patients are placed on a comfortable cushion to avoid strain and pressure points. They are kept warm with a heated water blanket and we offer laser therapy post-operatively to help speed healing. Good oral health has been shown to increase quality of life as well as life expectancy. At Park Animal Hospital, in our goal to have your pets live long, healthy & happy lives with you, we don't cut corners with oral health. This is why we don't give our patients "dentals" - we give them COHATs. What the heck is a COHAT? A comprehensive oral health assessment and treatment of course! 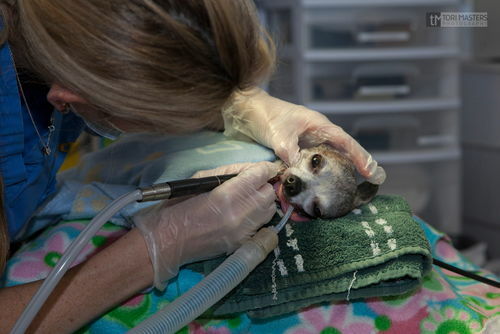 This is a 23 step procedure that optimizes your pet's oral health. It includes bloodwork, intravenous fluids, whole mouth digital x-rays, scaling and polishing of every tooth above and below the gumline, extractions (with nerve blocks) if needed, and an oral rinse. The entire procedure can take several hours depending on the health of the mouth and that is why we only schedule one per day, allowing us to treat everything that needs to be addressed in one visit and giving your pet personalized, detailed attention. Did you know? Much like icebergs in the ocean, approximately 60% of each tooth is hidden below the gumline. Without dental x-rays, the health of the majority of each tooth and the surrou nding bone cannot be evaluated. The result is that disease is missed and pets continue to suffer from toothaches. 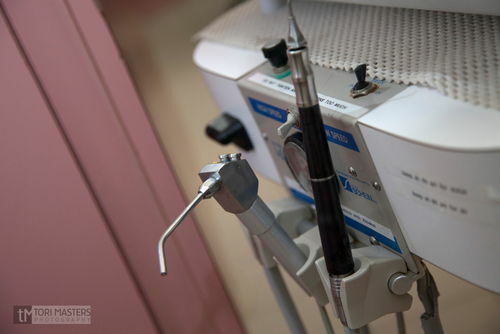 Not all clinics have dental radiographs, and of those that do, not all have digital ones. Digital x-rays allow us to magnify the image to see more detail, and they also allow us to save your pet time under anesthetic as the images are ready within seconds. They also help us to ensure that tooth extractions are done correctly, without any broken roots being left behind. We perform COHATs on almost every weekday and consistently hear how much better the pet seems to feel after the procedure, better than they have in a long time - even as early as the night they go home. 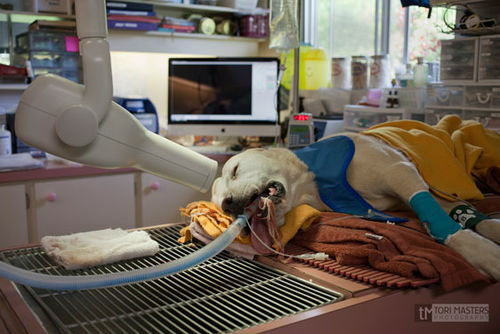 As with our surgery patients, one technician will be with your pet from the beginning to the end of this day. With the guidance of the veterinarian, this is the person dedicated to paying special attention to all of your pet's needs including providing pain medication, ensuring comfortable & clean bedding, offering food and water when they are ready to eat, taking them out for fresh air and to relieve themselves, keeping in touch with you, and, of course, providing a loving touch and soothing words to your pet while they are away from you. Pheromones: We have one plug-in diffuser for dogs (Adaptil) and one for cats (Feliway). They help instill a feeling of calmness, confidence, and security by mimicking the natural dog appeasing pheromone a mother dog emits after giving birth and the natural feline facial pheromone that happy cats use to mark their territory as safe and familiar. Our cages are not stainless steel so they are not as cold and don't make disturbing "banging" noises. Also, some pets find the reflections in the steel frightening, especially if they are recovering from anesthesia. We don't line the cages with newspaper like some clinics, instead we use plenty of comfortable blankets and towels and we make "donut beds" out of the towels, especially for the kitties and small dogs. We hang a towel "curtain" if the pet seems to want more privacy and the ability to hide. Cats are kept out of sight from dogs as much as possible. While they may hear and see dogs walk by, they are not kept beside them - either the dog or the cat will be moved to a different location. Some dogs end up hanging out with our receptionist because it makes them feel more at home to have a person to sit beside (or on!) and no bars to look out from. 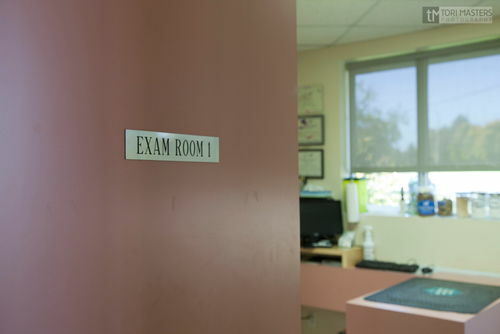 Others end up having an entire exam room to themselves (a baby gate allows us to keep the door open and a close eye on them). Dogs are walked on our spacious lawn with doubled up leashes for safety. Kitties are provided with single-use biodegradeable litterboxes so they don't smell the scent of the previous cat's urine which can be very stressful (as far as they are concerned, the cat that left its scent in that litterbox might well be on his or her way back to it!). All of these details have evolved to help reduce any stress your pet may feel while away from home. 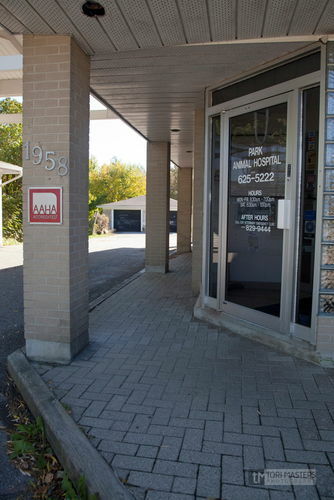 We know that stress is detrimental to healing and our goal is to return your pet to you in optimal health as quickly as possible - and to look forward to coming back to see us!